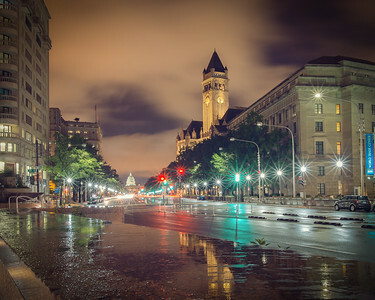 A look down Pennsylvania Avenue towards Congress in Washington DC. This was a very busy scene and, as such, not one that I would normally go for as a black and white conversion, but I do feel that the subject afforded a classic look that made it work. 2017. 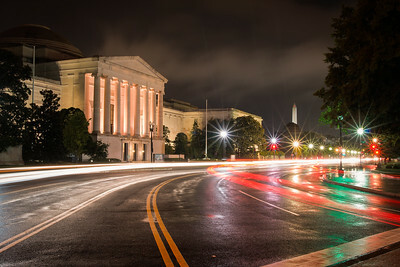 This is a 4 second long exposure of Pennsylvania Avenue, looking towards the US Congress in Washington DC. It was late in the evening and there actually wasn't that much traffic about, hence the more sporadic light trails. 2017. 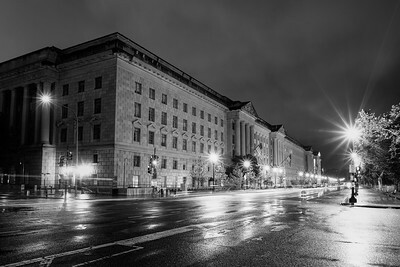 This is the Department of Commerce in Washington DC. 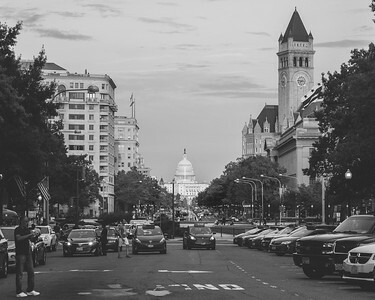 I loved the simplicity in the Washington DC architecture: it really lends itself to black and white photography with the simple lines and implicit grandeur. 2017. A view of the Washington Monument, looking resplendent at night at the end of the Lincoln Memorial Reflection Pool. 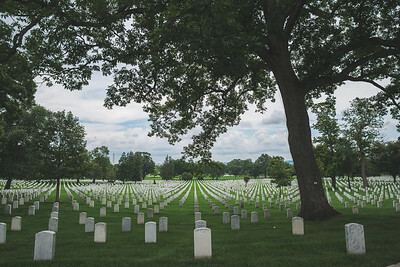 I felt that a panoramic image was the best way to approach this, particularly as I only had wide angle lenses that night. 2017. 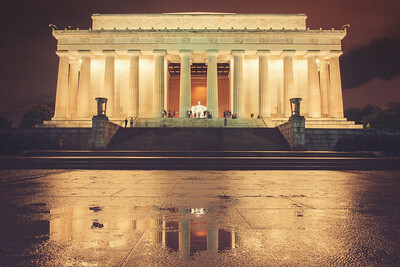 This is truly a magnificent structure and absolutely sure to make to pause for a moment to breath in the history: the Lincoln Memorial in Washington DC. I was happy for the rain to add some depth to the image - however, a few moment s later I got totally drenched on the walk back to Pennsylvania Av. 2017. 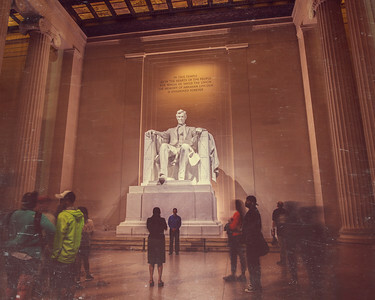 This is a faux-distressed image of the Lincoln Memorial. For anyone that hasn't seen it; I would suggest that this one of the more breathtaking monuments to a world leader that I have ever seen in person. It was very busy, hence the unorthodox approach to the image, but very thought provoking inside. 2017. 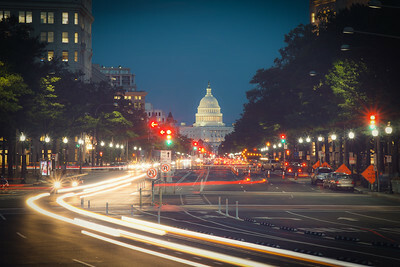 I felt this was quite a good vantage point for a light trail long exposure in Washington DC. The National Gallery of Art afforded an interesting subject, while the traffic island gave me a good opportunity to create some lead lines in the traffic lights. 2017. 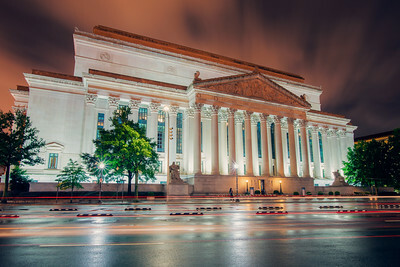 This is the National Archives Building in Washington DC. I wandered around the city in the rain that evening looking for long exposure opportunities - this building, together with the quickly moving clouds, represented a great opportunity. 2017. 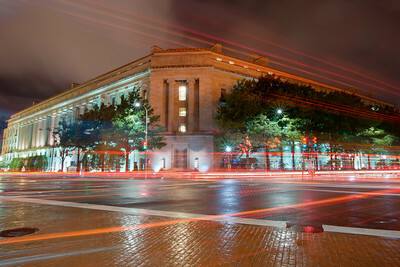 This is the Department of Justice in Washington DC. While the DOJ has had a prominent role in US politics in 2017, on this night it just made an interesting background for a long exposure light trail shot. 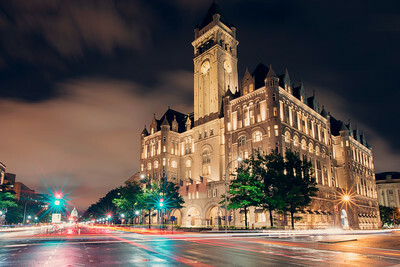 The old Post Office building, recently converted to become the Trump International Hotel on Pennsylvania Avenue in Washington DC. This is a 30 second long exposure. 2017. 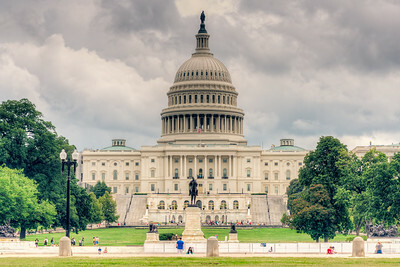 A view of the US Congress, taken from the Mall. Glad we turned up on this particular year as in recent years the building was undergoing restoration with lots of scaffolding around the roof. 2017. The reflecting pool near the Lincoln Memorial doing its job - with Washington DC looking resplendent in the August sunshine of 2017. 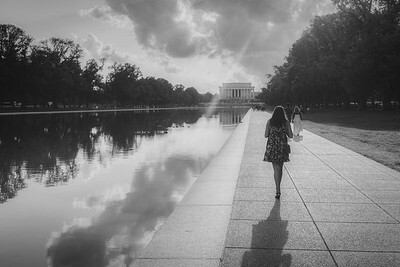 Don't even know who this woman is, but this was an opportunistic shot with an intent to convert to black and white for a more classic look of the Lincoln Memorial and reflecting pool. Washington DC, 2017. 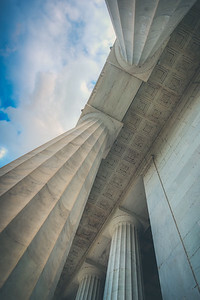 A more unorthodox view of the Lincoln Memorial, looking straight up that magnificent marble structure. Capped off with a nice blue sky. Washington DC, 2017. 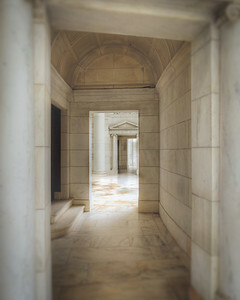 The Tomb of the Unknown Solider, devoid of any tourists in the image. Very quiet, very serene. Washington DC. 2017. 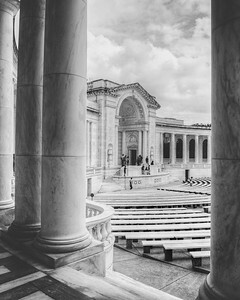 The marble construction of the Tomb of the Unknown Soldier makes it an ideal candidate for conversion to black and white, so long as there enough shadows in the image to create the necessary contrast. 2017. 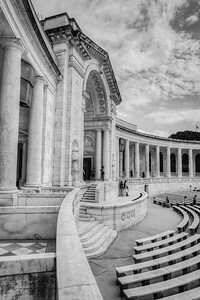 Another shot of the Tomb of the Unknown Soldier gallery - peaking from behind the magnificent marble columns Washington DC. 2017.